Subo International offers fresh frozen cod fish in season. Cod is a ground fish which has a white and solid meat structure with a delicate aroma, due to the diet of shrimp and herring during its migration. The aromatic taste of Cod fish is highly appreciated. 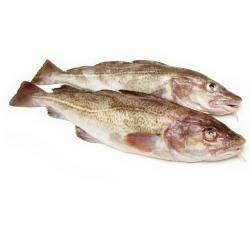 We source our frozen cod fish at high quality fish suppliers all over the world, e.g. Norway, Russia, USA.